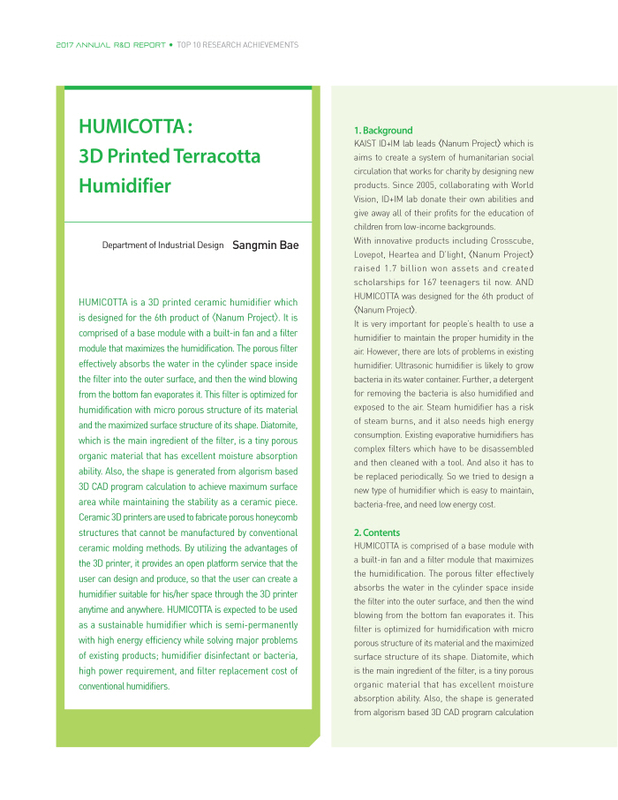 HUMICOTTA is comprised of a base module with a built-in fan and a filter module that maximizes the humidification. The porous filter effectively absorbs the water in the cylinder space inside the filter into the outer surface, and then the wind blowing from the bottom fan evaporates it. 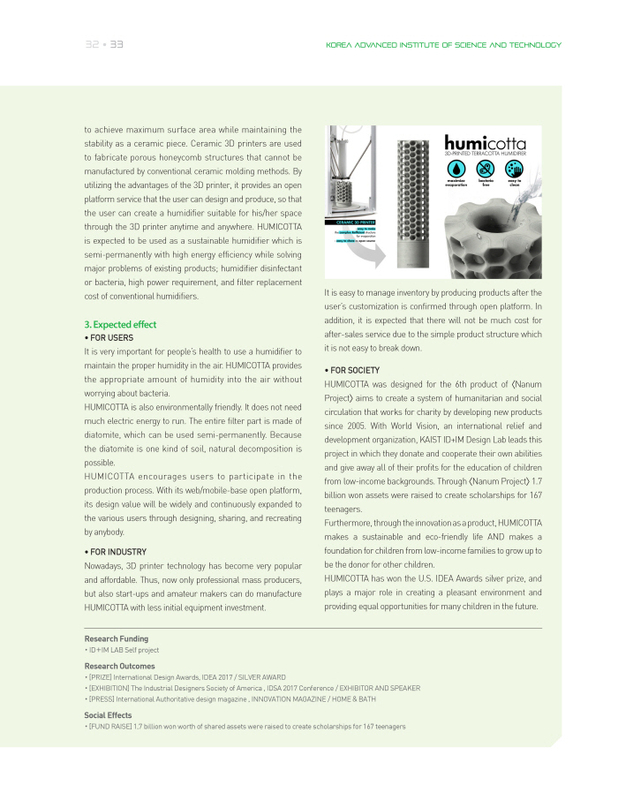 This filter is optimized for humidification with micro porous structure of its material and the maximized surface structure of its shape.